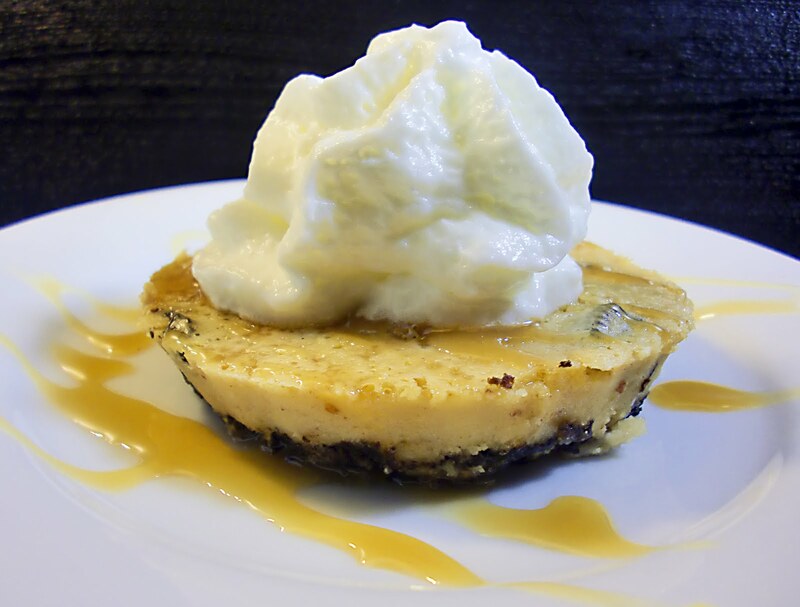 That would be Ciao Chow Linda - Giveaway blogs will be in touch with you in the next 30 days! Congratulations I cant wait to see what you print! This giveaway is for printing services - you can make a canvas print of your favorite image. Got wall space? Got a cool image? Fill it up with a cool canvas print. If you want to really make me feel good and you want one of my images to hang on your wall if you win just ask and it is yours. This one is happening fast - deadline is tonight! Sounds simple enough - leave a comment get one entry, "like" my Chef Page get another entry, tweet "I entered to win a canvas print with @ChezWhat and you can enter too http://tinyurl.com/ycnbg7k " for another entry - leave a separate comment for each of these things that you did and you will have three chances to win. This canvas printing giveaway is sponsored by UPrinting, no monetary compensation was given and I will receive printing services for rolled canvas by hosting. 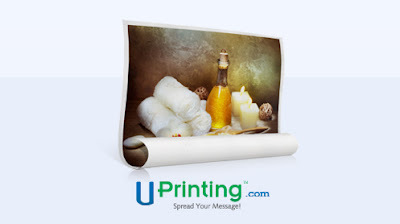 Check out UPrinting.com for more details about photo canvas. How often does being first pay off in this day and age? Imagine my surprise when I typed in the number of comments (someone commented twice so I had to decrease the number by one) then I hit the generate number and the number one (1) popped up. 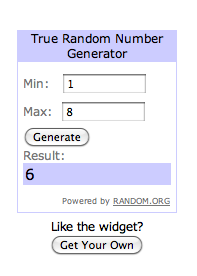 Congratulations Vicki you are lucky number 1 please e mail me your mailing address so that I can forward that on to Wusthof so that you can get your prize. Thank you everyone who entered and stay tuned this is giveaway season here on ChezWhat and we will be sponsoring a different one very soon. 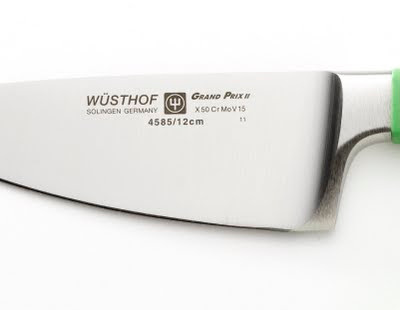 Wusthof knives are good and good people need good knives so you can imagine that I would want my good readers to get in on this cherry of a deal. 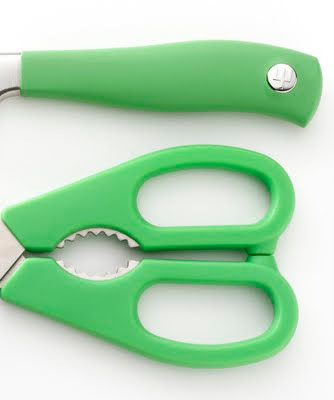 Thats right one lucky reader will be the proud owner of The Grand Prix II Two-Piece Herb Set in Green - this set has a $60 dollar value and is available only at Bloomingdales. What does all this mean? It means that someone who lives in the United States will not have to go to Bloomingdales to get one because they will be getting one right here. One entry per person, no extra entries. You should be following my blog and following me on twitter already and now you can "like" me too- if you arent then get on it. You need to check out the links and then leave a comment there and then one over here on the blog post and you are entered. 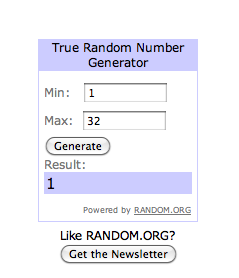 One winner will be selected on Monday August 22 with the use of Random.org and Wusthof will mail you your prize so that means contact information will be required. Combining two essential tools to easily cut, chop and mince parsley, sage, dill, cilantro, thyme, chives and other fresh herbs, the new Grand Prix II Two-Piece Herb Set includes Wusthof's top-selling Come Apart Kitchen Shears in vivid Green (model 5558-G) and the perfectly sized, precision-forged, full-tang Grand Prix II 4.5-inch Multi-Prep Cook's Knife (model 4585/12), which sports an apropos Green colored handle. 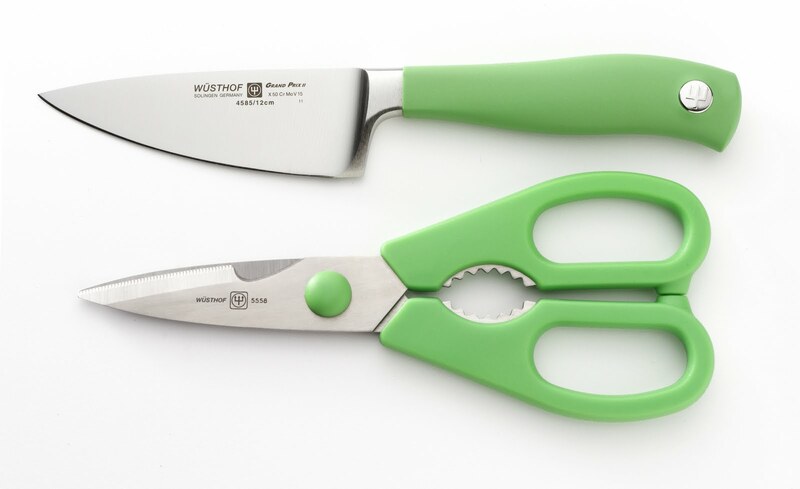 An essential tool for the kitchen, and ideal for snipping both delicate and hardy fresh herbs, such as tarragon and rosemary, Wusthof's Come Apart Kitchen Shears offer razor sharp blades that easily "come apart" for thorough and easy cleaning, as well as re-sharpening. 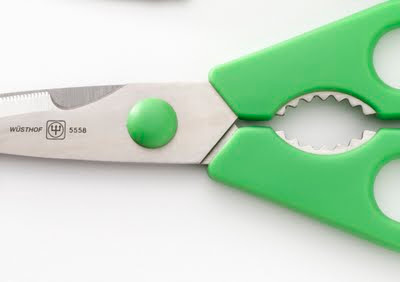 The Come Apart Kitchen Shears is universally designed for both right- and left-handed cooks. A cross between the cook's knife and a paring knife, the Grand Prix II 4.5-inch Multi-Prep Cook's Knife features the rounded straight edge blade of a typical cook's knife, which allows for rapid fire chopping with a pro-style rocking motion on a cutting board. Unlike cook's knives, which tend to have long blades, typically 8-inches or more, the diminutive Grand Prix II 4.5-inch Multi-Prep Cook's Knife delivers precise control - the hallmark of smaller paring knives. The Grand Prix II 4.5-inch Multi-Prep Cook's Knife features the collection's signature slip-resistant, pebble-textured handle with a contoured shape that ensures a comfortable and sure grip. 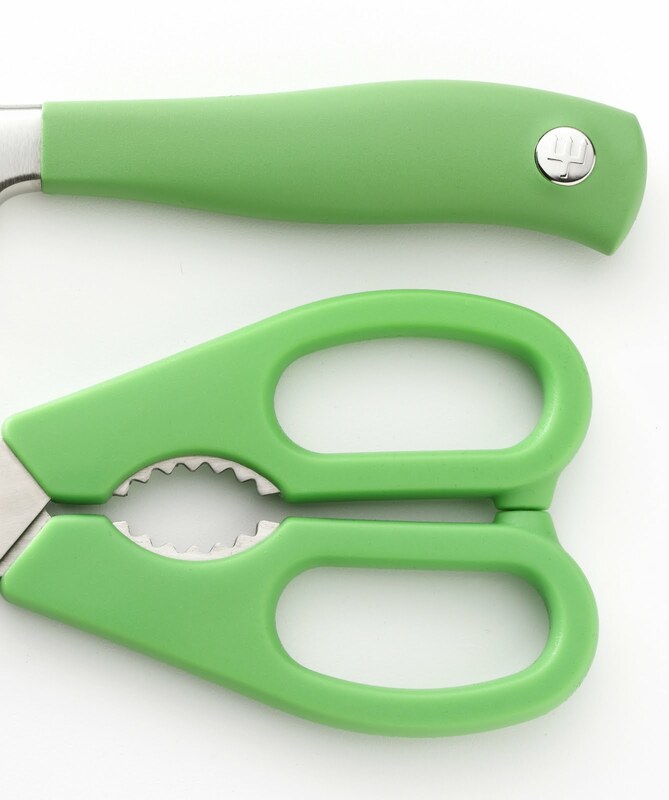 The handle's new vibrant Green color adds zest to daily food prep and entertaining. If you scrolled all the way down to see what the deal was - you missed it - now go back and read the post! Today while reading the vast amount of blogs and facebook entries and news and current events that I read every single day all day long I came across some sad news that touched me very deeply, to find out more go here...or see more here. I dont want to do the least I can do but if the least I can do will make a difference then I will do it. 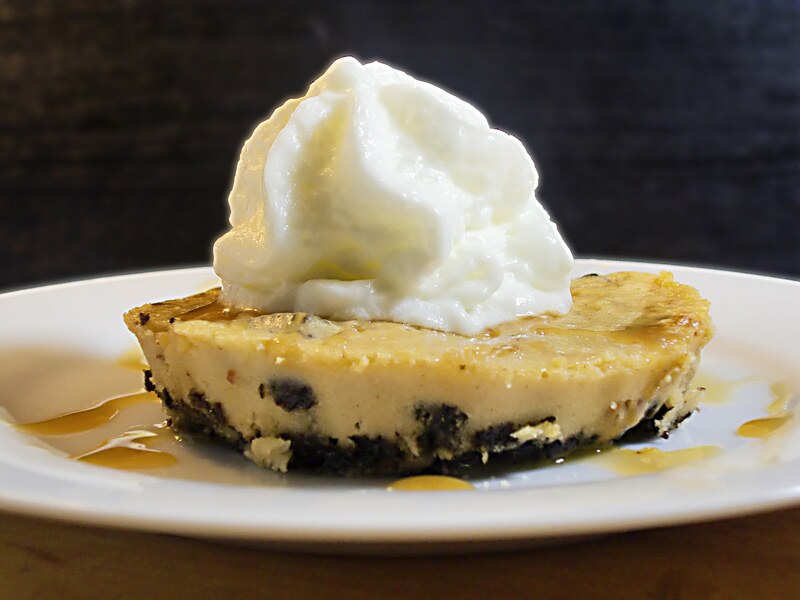 Here is my peanut butter pie for Mikey. I am sorry for your loss. 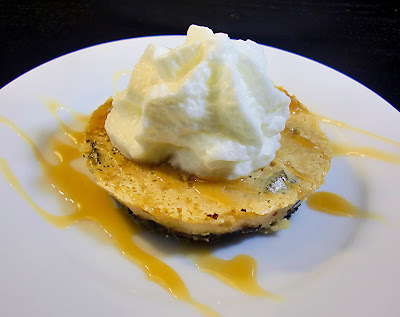 Once again I am the fortunate one and I received a Flip video camera from FoodBuzz and Newman's Own to put my own little twist on an every day item. I made marinated chicken skewers using Newman's Own salad dressing. Sit back, relax and enjoy.